We are looking forward to taking part in CBD COP 14 next month, so please see below for more information. This month’s newsletter also contains reports from the recent Seventh IPSI Global Conference, held in Kanazawa, Ishikawa Prefecture, Japan, including a meeting of the IPSI Steering Committee, where ten new IPSI members were accepted and one new Collaborative Activity was endorsed. See below for details. We are also pleased to share the results of the 2018 round of the Satoyama Development Mechanism (SDM) project selection, and recent publications: an online compendium on assessing agrobiodiversity, and newsletters from the GEF-Satoyama Project and COMDEKS Project, both IPSI Collaborative Activities. The Fourteenth Meeting of the Conference of the Parties to the Convention on Biological Diversity (CBD COP 14) will be held 17-29 November 2018 in Sharm El-Sheikh, Egypt, with various high-level events and other forums held back-to-back. The COP meeting is the major biennial event of the governing body of the CBD, and the IPSI Secretariat looks forward to taking part in the meeting and collaborating with many IPSI members and friends. The IPSI Secretariat itself is planning to hold our own side events and take part in others’, to run a display booth in the CEPA Fair section, and to take part in other events held concurrently and back-to-back with the COP meeting. The details of many of these are still to be confirmed, so please keep an eye on the IPSI website and other communications for up-to-date information. We are sure that many readers will be attending and holding activities at CBD COP 14. Please contact the Secretariat and let us know about your plans, so that we as a partnership can make the most of this major event and work toward mainstreaming the concepts of the Satoyama Initiative in important international policymaking processes. We look forward to seeing many of you there. The Seventh IPSI Global Conference (IPSI-7) was held from 29 September to 2 October 2018 in Kanazawa, Ishikawa Prefecture, Japan, organized by the IPSI Secretariat and the Ministry of the Environment, Japan (MOEJ), and hosted by the Ishikawa Prefectural Government. The Conference consisted of the Thirteenth Meeting of the IPSI Steering Committee, a Public Forum, a meeting of the IPSI General Assembly, and an excursion for participants. The Public Forum is open to the general public for sharing information about the Satoyama Initiative and IPSI activities. This theme this time was “Assessing the Satoyama Initiative’s Contributions towards Achieving the Aichi Biodiversity Targets and Sustainable Development Goals”. The General Assembly is primarily for information-sharing and decisions regarding the future direction of IPSI, and is open to all IPSI members. The agenda this time also focused on assessment of IPSI’s contributions and achievements to date. The discussion led to the endorsement of the IPSI-7 “Ishikawa Statement 2018“, which expresses participants’ commitment to promoting the importance of SEPLS in the post-2020 global biodiversity framework. The excursion on 2 October gave participants a chance to see a number of sites on the Noto Peninsula, an area of Ishikawa Prefecture well known for its satoyama landscapes and satoumiseascapes, which are recognized under the FAO’s Globally Important Agricultural Heritage Systems (GIAHS) programme, and are good examples of biocultural diversity and SEPLS in Japan. We at the Secretariat would like to once again thank all of the participants, and especially our co-organizers at MOEJ and hosts at the Ishikawa Prefectural Government. It is thanks to all of your help and support that the Global Conference was such a success. A full report of IPSI-7 will be made available in the near future. In the meantime, more information can be found on the IPSI website here. We look forward to collaborating closely with all of the new members in promoting the concept of the Satoyama Initiative in the future. IPSI Collaborative Activities are activities carried out by at least two IPSI members (possibly in collaboration with other organizations), and approved as such by the IPSI Steering Committee. At its meeting this month, the IPSI Steering Committee approved the proposal for one new IPSI Collaborative Activity, bringing the total number of IPSI Collaborative Activities to 47. 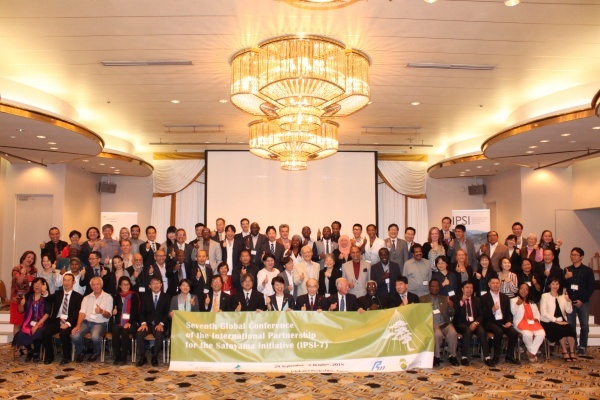 In 2013, the Institute for Global Environmental Strategies (IGES), the Ministry of the Environment of Japan (MOEJ), and the United Nations University Institute for the Advanced Study of Sustainability (UNU-IAS) jointly launched the “Satoyama Development Mechanism (SDM)” as a collaborative activity under the framework of IPSI to facilitate further implementation of IPSI activities by providing seed funding to promising project proposals.The SDM Executive Board recently announced the six recipients of grants offered for the 2018 round. The contents of the activities as well as outcomes of the selected projects will be compiled and shared with all IPSI members during the subsequent implementation phase. For more information, please see the the IGES website here. 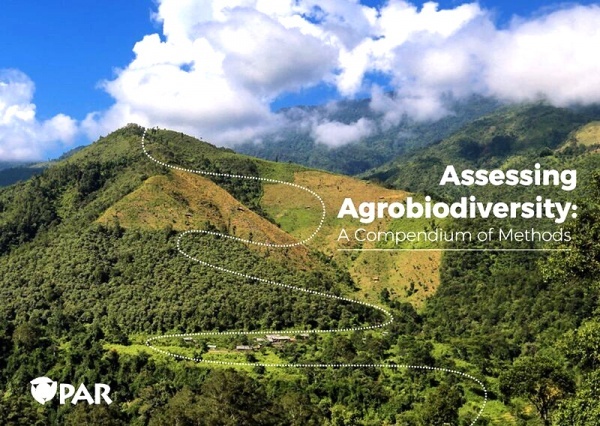 IPSI member the Platform for Agrobiodiversity Research (PAR) has developed an online compendium of methods for assessing agrobiodiversity. According to the description on their website: “Drawing on experiences from around the world, the Compendium was created to support the documentation, co-creation and sharing of knowledge about diversity and its management. The Compendium provides guidelines for the collection and analysis of data about the diversity of crops, livestock, pollinators and harvested wild plants.” It also contains a section on the “Indicators of Resilience in SEPLS”, an output of an IPSI Collaborative Activity. The Compendium is available for download from the PAR website here. The GEF-Satoyama Project recently produced its seventh quarterly newsletter, including updates from project components and reports of the recent 2018 GEF SGP China Workshop on Capacity Building for NGOs and Landscape Approach.